You or your child having head lice can be a notably stressful time; time off school, avoiding spreading the lice, and cleaning household items is enough to drive some people bonkers. To get you through this stressful time, all you want is to know that your lice can be taken care of quickly and efficiently, which is why it’s best to choose an expert lice removal expert instead of at-home remedies. 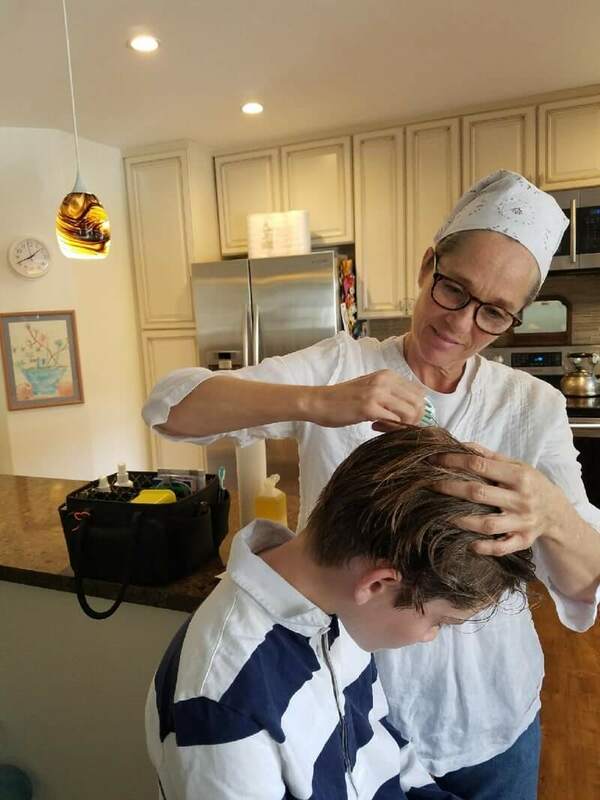 The Hair Whisperers - the experts of in-home lice removal in Los Angeles - are here to support you and give you the five main reasons why choosing expert in-home lice removal is the way to go for your case of head lice. 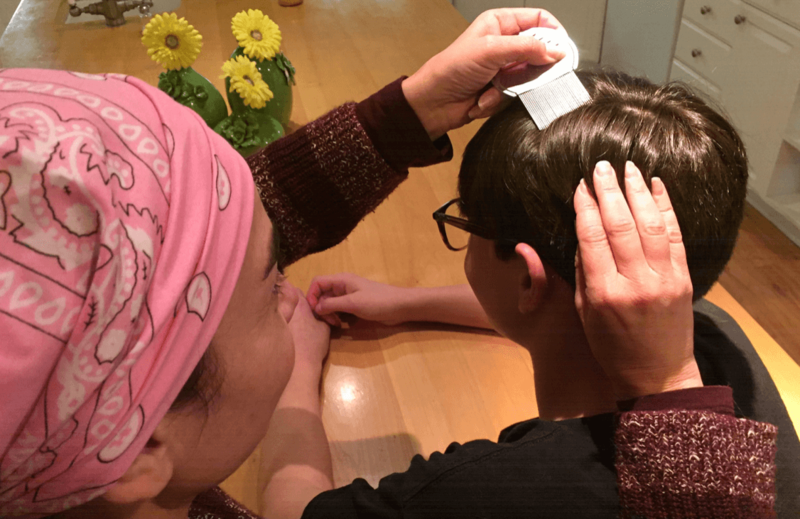 A major problem that many parents are finding as they try to treat lice at home is that most lice are now resistant to over-the-counter treatments. 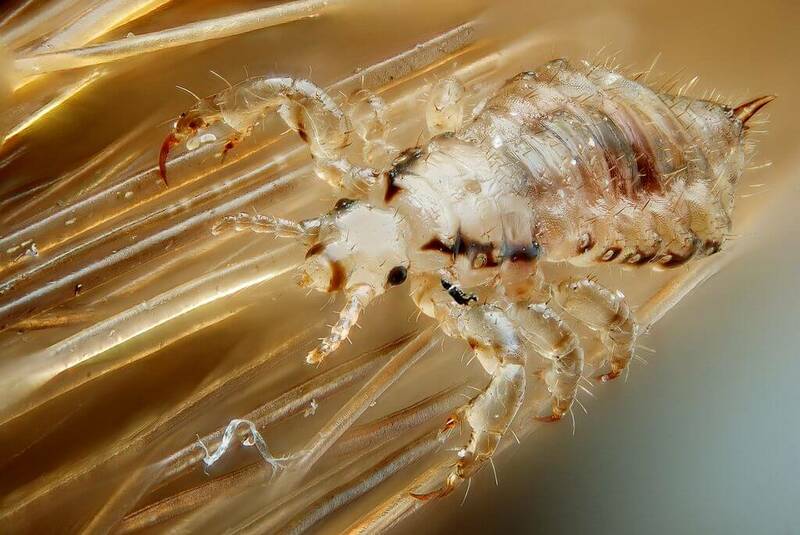 A study published in the Journal of Medical Entomology says that lice carry up to three genetic mutations that make them impervious to most over-the-counter treatments containing pyrethroids - the chemical in most lice shampoos. These mutations that creating immunity to pyrethroids are not uncommon. As a matter of fact, there are more than 300 types of insects that are resistant to pyrethroids due to the same mutations. Most lice removal experts use nit-picking techniques and conduct all lice removal by hand, ensuring that they do not rely on pyrethroids to kill the lice. Instead, removing lice and nits by hand makes them unable to reproduce or survive on the scalp, ending a lice infestation almost immediately. 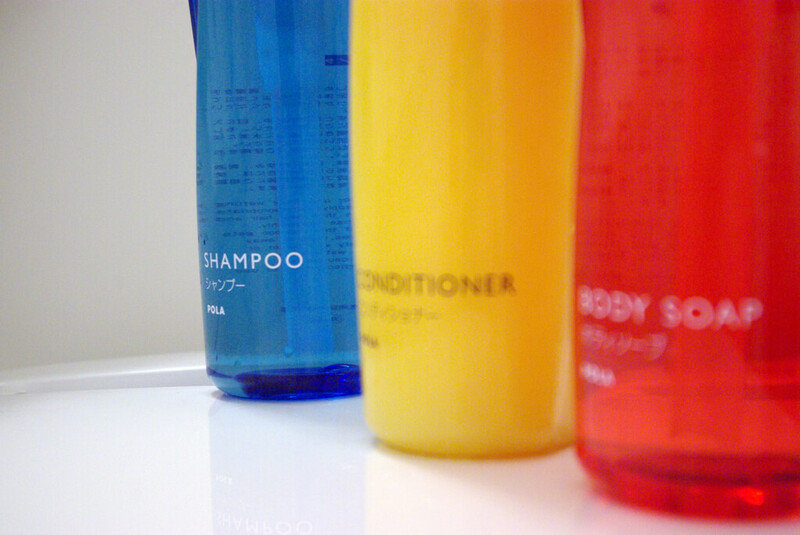 Lice shampoos containing pyrethroids often use Permethrin, a neurotoxin used in insecticides. Even if your strand of lice does not have the mutation to be resistant to pyrethroids, you are still putting a strong insecticide on your child’s scalp. With the ability to paralyze and kill lice, these the types of chemicals you keep in a locked cabinet out of your child’s reach. So why would you willingly put these chemicals on your child’s scalp? These chemicals, of course, can cause a variety of side effects in children. These potentially cancer-causing agents can cause skin irritation and burning, difficulty breathing, rash, or other severe allergic reactions. These treatments are especially dangerous for families with asthma, history of seizures, or are pregnant. As a parent looking to keep your children healthy, these dangerous chemicals from OTC lice treatments are a step in the wrong direction. 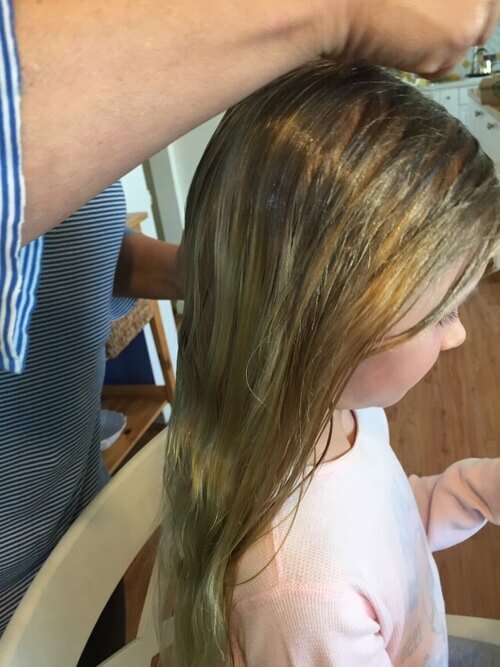 With the potential hazards of an over-the-counter lice treatment combined with the fact that they typically will not even kill the lice, an OTC lice treatment is a waste of your valuable time and hard-earned money. While struggling with an OTC lice shampoo or other treatment, lice will reproduce and spread to other members of the house (the human scalp is their lifeline, afterall). The longer it takes to get rid of lice, the more time and money you dedicate to the hapless cause of OTC treatments. Instead of spending several weeks battling the lice with OTC treatments, get your treatment right the first time. Professional lice removers know the proper combing and picking techniques for quick removal. As a (typically) once-and-done solution to head lice, a lice removal expert will keep you from spending weeks wanting to pull your hair out. With nits looking much like skin particles or dandruff, the untrained eye can have trouble discerning between a potential lice threat and a standard dry scalp. Leaving just a few nits behind - due to the short, rapidly-reproducing life cycle of a head louse - can cause a new infestation in less than two weeks. If not treated properly and fully, a head lice infestation can continue on for several weeks. Even if you did the OTC treatments full of chemicals, the untrained eye and hand can have a hard time removing all the lice from a child’s head. Lice removal experts take the necessary time to remove all nits and lice, give you instructions to avoid worsening the infestation at home, and often provide check-ins to double check their work. Best of all, with this thorough treatment most kids can be back at school the very next day - which, for busy parents, is worth its weight in gold. Can you place a value on your peace of mind? Having the ability to rest assured that your lice infestation is treated thoroughly and without harmful chemicals will keep you from constantly checking your child head for a rash or more lice, keep you from itching your psychosomatic lice, and help you sleep knowing you have done everything you can to keep your child healthy. Using a lice removal expert can help restore a sense of normalcy in your chaotic lice-obsessed household, which is a wonderful sigh of relief for many concerned parents. Choosing a lice removal expert is the obvious choice for treating a lice infestation. As the thorough and healthy option that delivers you peace of mind, professional lice removal is necessary for ensuring your life and you child’s life is back on track after a case of head lice. For all your lice removal needs in Southern California, get in contact with the Hair Whisperers. Providing in-home lice treatment for more than ten years, we are the most-trusted Los Angeles lice removal company here to help you get your life back to normal.